See in Glossary”. 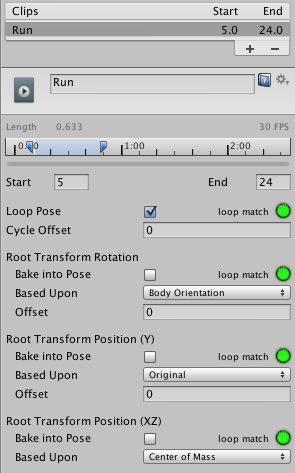 For this, we can modify root motion from script. To put everything together follow the steps below (note there are many variations of achieving the same result, this is just one recipe). 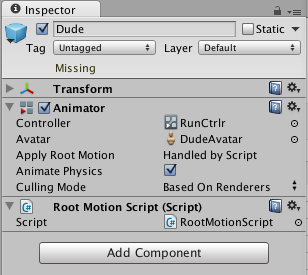 See in Glossary you intend to control (let’s say this avatar is called Dude, and it has already been added to the Hierarchy View). 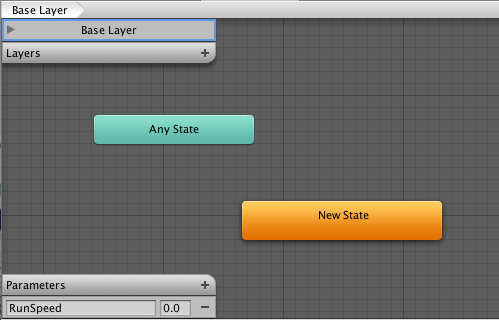 Select the character Dude in the Hierarchy, whose inspector should already have an Animator component.